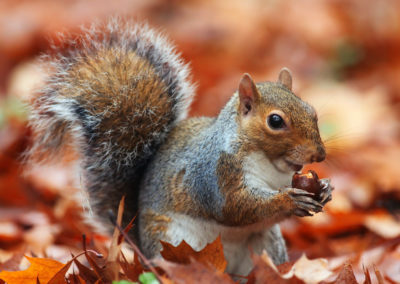 Squirrel Appreciation Day is held on the 21st January. 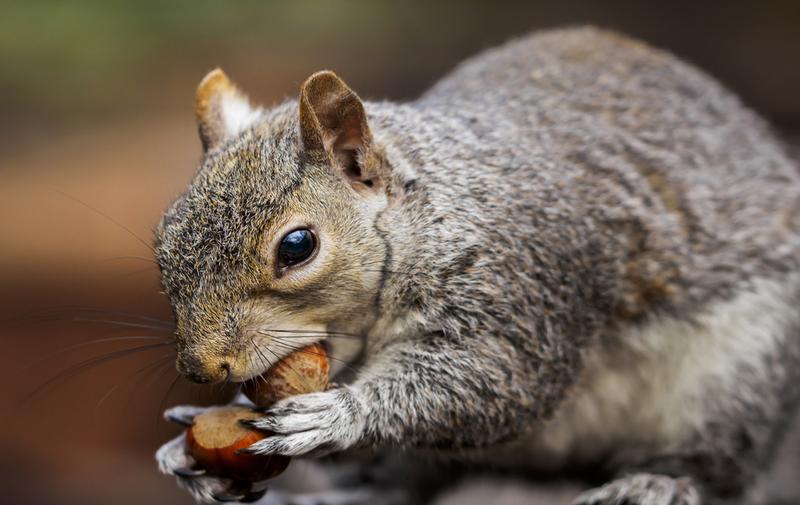 This unusual celebration first began in 2001 in North Carolina by wildlife rehabilitator Christy McKeown, as a way of ensuring seeds and nuts were put out for the little fuzzy rodents. 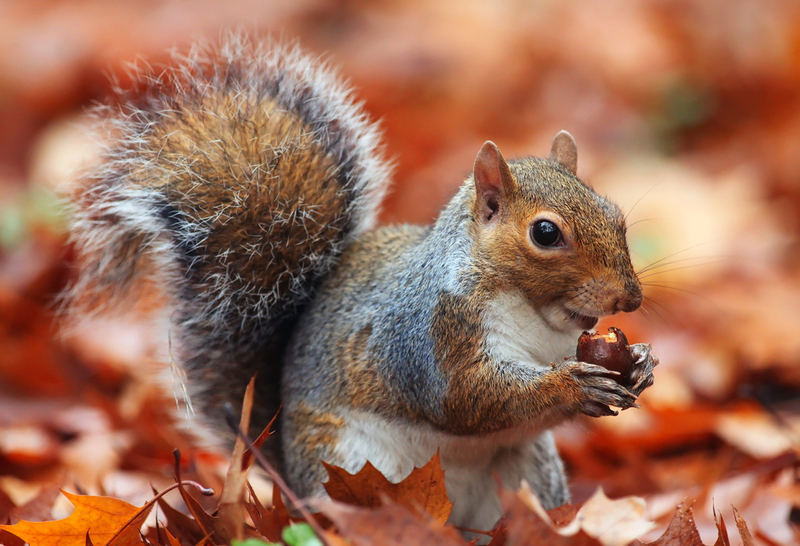 There are many different kinds of Squirrels found almost everywhere all over the world. 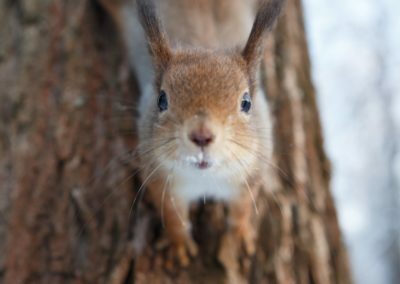 This means that everyone can turn their hand to photographing these furry critters (whatever the weather, and whatever the season). 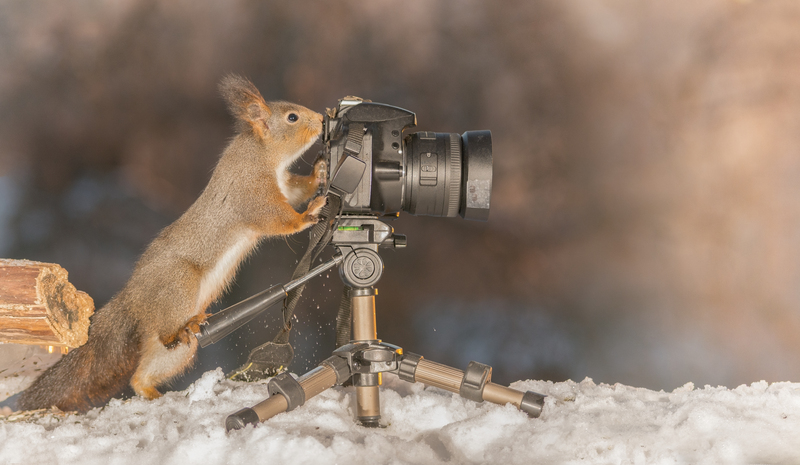 No doubt you’re asking, how on earth are iPhotography going to embrace ‘squirrel day’?! 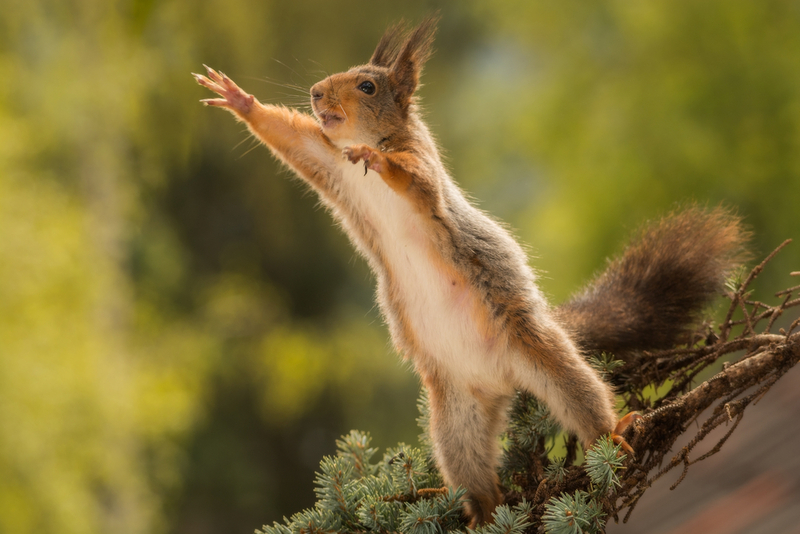 Well, with one of the iPhotography tutors being as nuts for squirrels as squirrels are for nuts – we thought it was time to get our cameras out! Are you ready to come on a winter woodland adventure? 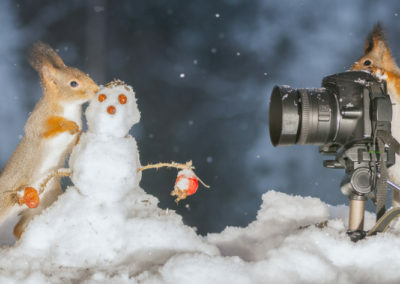 If so, pack up your nuts, pick up your camera, brace the cold and let’s get started searching for our mischievous friends. We’re going to take a little trip in to the forest and watch as the wonders of nature unfold in front of our very eyes! 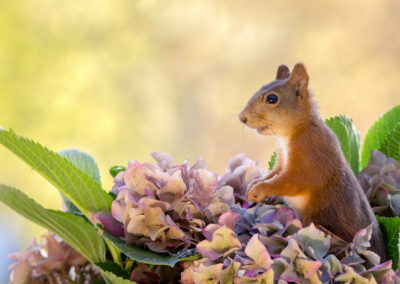 If you have a garden featuring lots of trees and natural wildlife, you may already regularly strike it lucky with appearances from these quirky little fuzz-balls. If not, consider leaving food out in your garden or yard to entice them. Try scattering some corn at the base of your trees on the ground. Hang corn cobs from your washing line or from tree branches. Tie monkeys nuts (peanuts in shells) on strings; sit back and watch the squirrel acrobatic show. 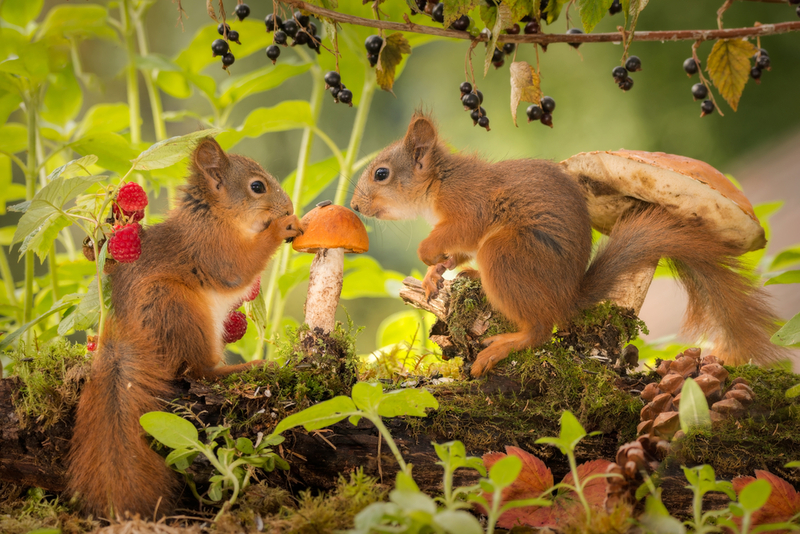 Entice them by sticking food into small gaps or holes in tree stumps or in the tree bark. 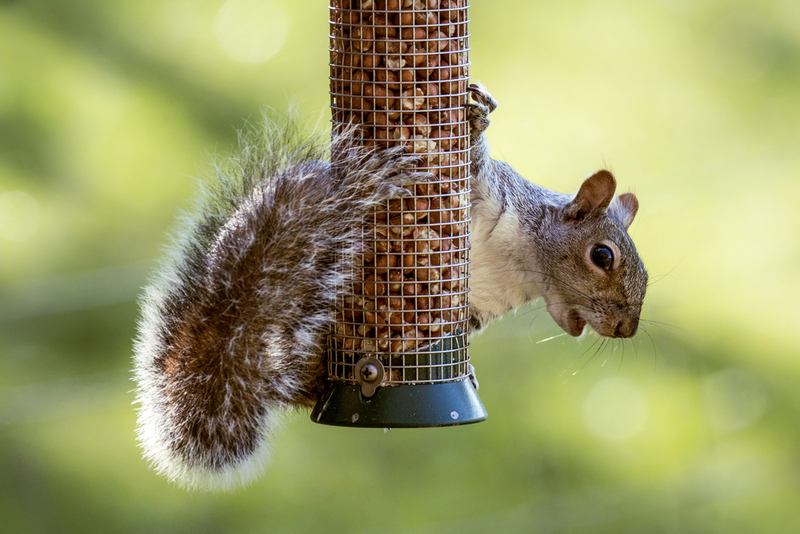 Squirrels love nuts – so fill up your bird feeder and bird houses with them! You could try walnuts, pecans, almonds, macadamia – leftover nut nibbles from Christmas (only natural nuts though, no salt). 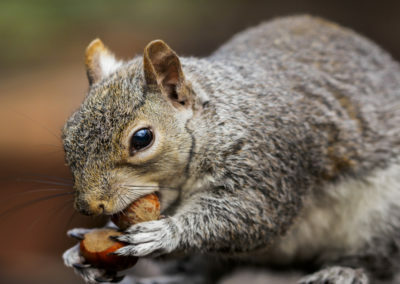 *Please make sure you do your research on squirrel feeding, before disturbing their habitat or leaving dangerous leftover foods out. If you live in a city or built up area, you may need to venture out in search of woodlands. Consider local parks, national trust woods, small forests. 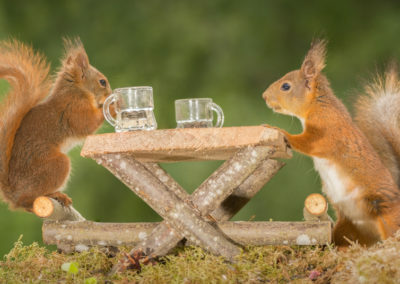 You could even Google where is best to find squirrels in your local area for some suggestions. 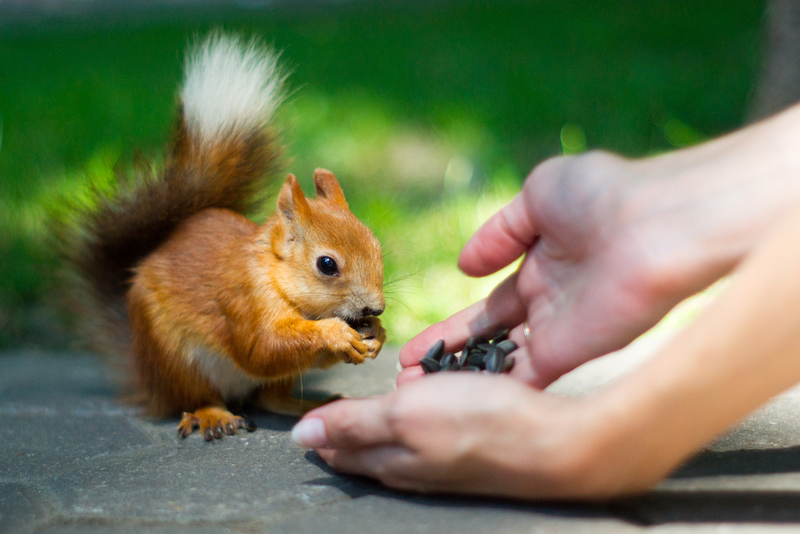 Follow the same guides as above for garden squirrels; take nuts and corn along with you. 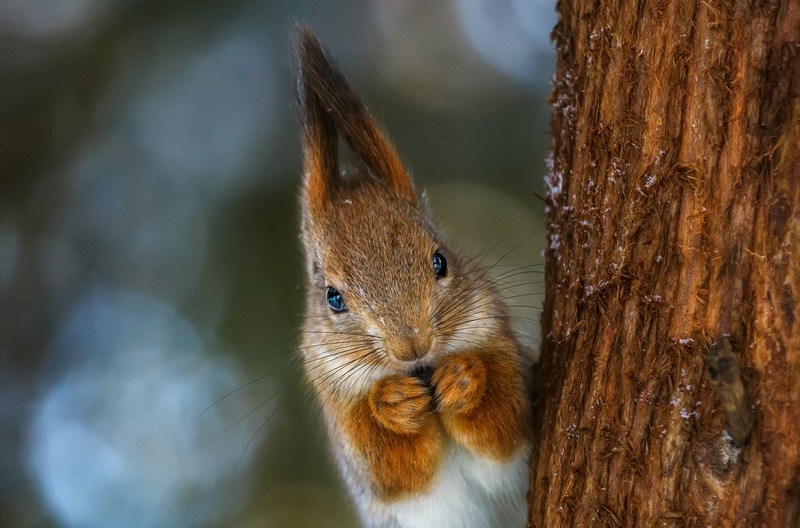 You will need patience and squirrel detective senses as they are a master of disguise. Please remember, whenever wildlife is concerned, there is no guarantee you will successfully find or spot them on your first trip out. 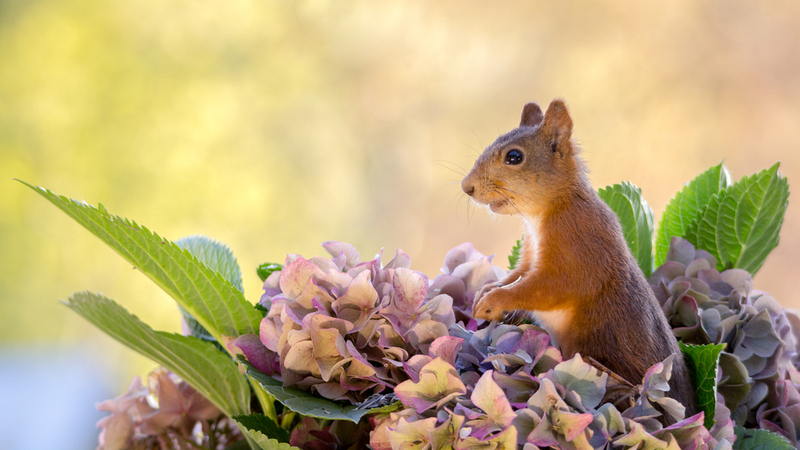 If you have tame squirrels in your garden, create fun scenes and make your shots creatively interesting. 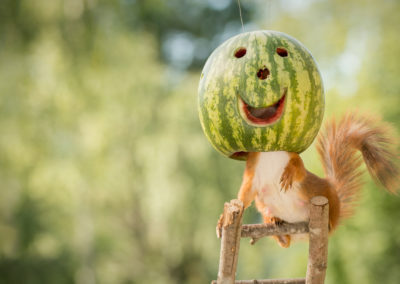 Squirrels are very intelligent and will figure out ways to get their food, so hide it in interesting places or fun and unusual hollowed out objects. To capture shots like these below, hang cocktail umbrellas (or other props) from pieces of cotton or wire, then attach nuts to the insides. You can do the same sort of thing with balloons, tiny baskets of nuts, bird ladders, toy cars… the options are endless. Get your children involved with searching and collecting hazlenuts, chestnuts and pinenuts (from pine cones). Hide food inside large hollow items (like hollowed fruit or empty shells). 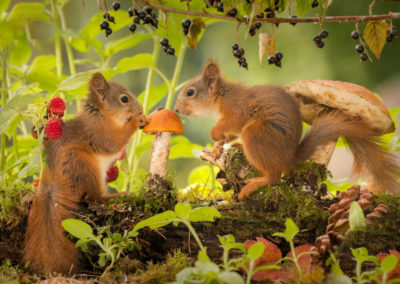 Squirrels love to explore and find food. Make a fun obstacle course and put a trail of nuts across it to encourage the squirrels to climb. Build a small wooden swing hammock or bridge for the squirrels to climb. 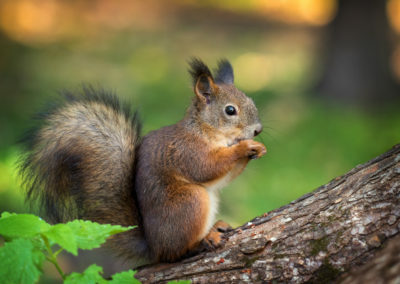 If you have relatively tame squirrels, dot miniature furniture around (think dolls house furniture) on the ground, in trees and hung from branches. Release your creativity and come up with scenes and stories for your furry friends. The winter months can be challenging with any type of photography, as there is often a great shortage of light and colour, and generally, everything can appear a little grey and miserable. 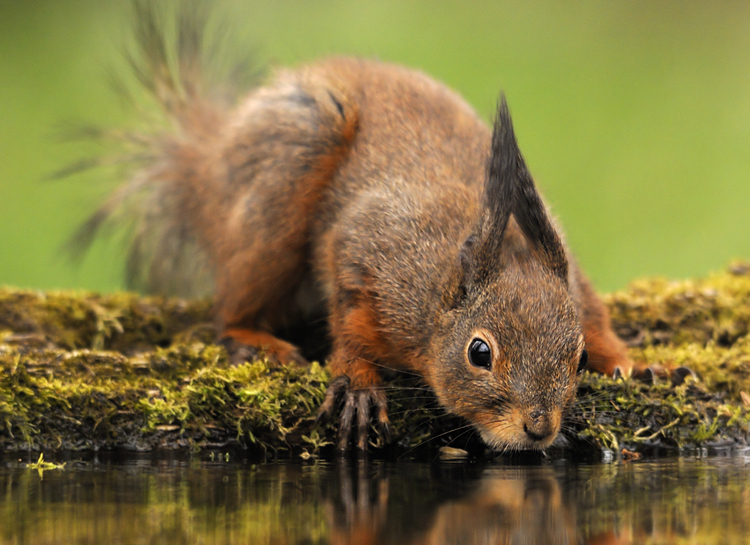 Photographing in woodlands is a challenge, but also has its upsides; photographing squirrels in a ‘pool’ of natural light against a dark background can make for some striking and interesting shots. 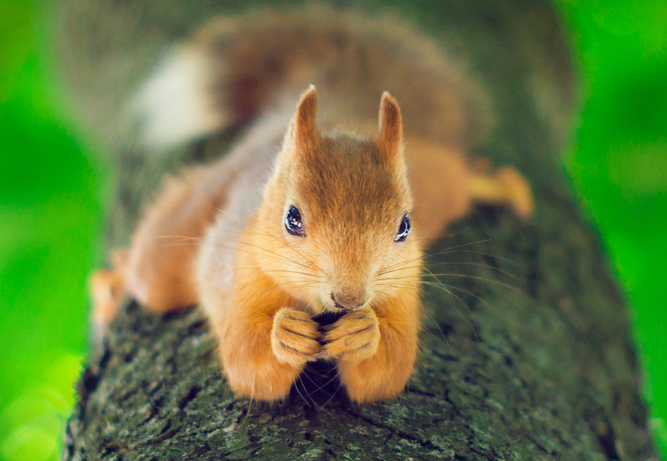 Try looking for Squirrels sat on wet branches, as the moisture will make the tree appear darker, making the background darker. 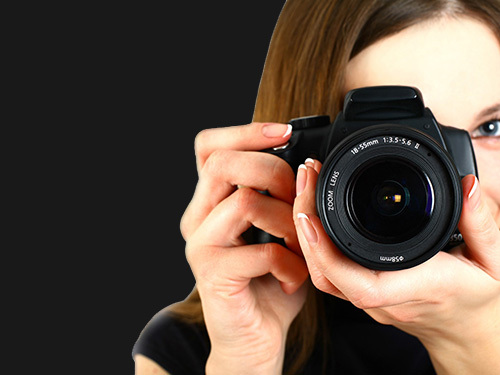 Alternatively, you can also try reducing the ISO or the slowing the shutter speed can also make your image darker. 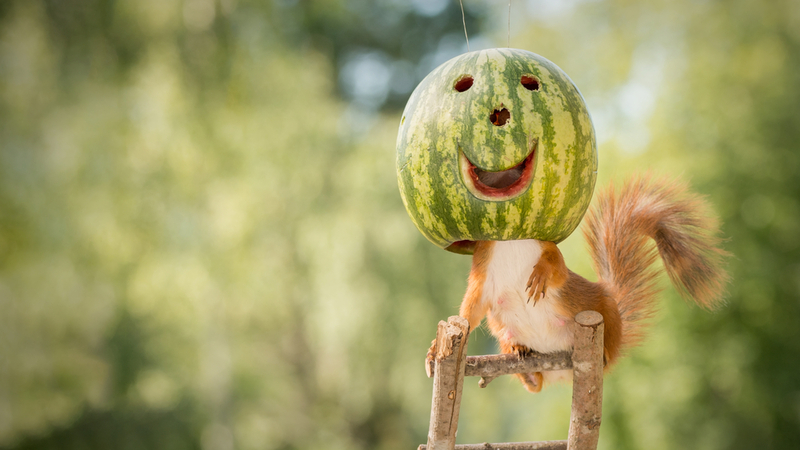 You can then brighten up the Squirrel using post-production software. Now you’ve identified your location you need to prepare your kit. Remember there might not be time to change lenses and you’ll also want to be fairly static and quiet once in position. A long zoom telephoto lens is probably the best bet, along with a nice all-rounder that will get you the shots you desire. Remember to not use a shutter speed with a lower number than your focal length. i.e. If you’re using a 200mm focal length, then make sure your shutter is 1/200 or quicker to avoid blurring. *Don’t forget if your image is not quite right you have the power of post-processing, to crop or edit your image as you please afterwards. 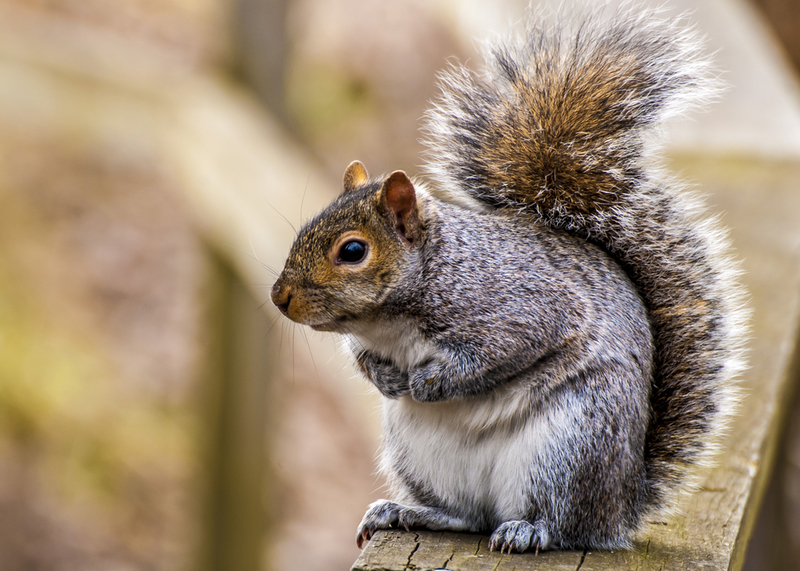 Set your white balance to AUTO or to a warmer temperature: this then helps to remove unrealistic colour casts, so that the squirrels look healthy and natural. It is advisable to use a mono or tripod to help prevent camera shake. If you don’t have one, rest your elbows on a firm steady surface, or place your camera on a static, flat surface or object (such as a rock, or mat on the ground). Crouch or lie down as low to the ground as possible. 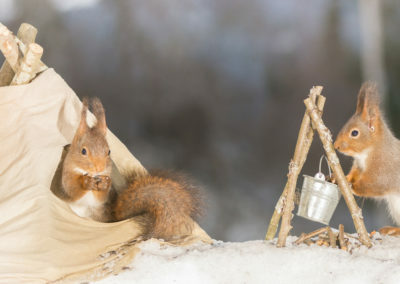 Make sure you are comfortable as you might be there for a while (depending on how patient you are and how accommodating the squirrels are feeling). Stay as still and quiet as possible; any movement on your part will cause the squirrels to run away, and then you can say bye bye to that photograph. 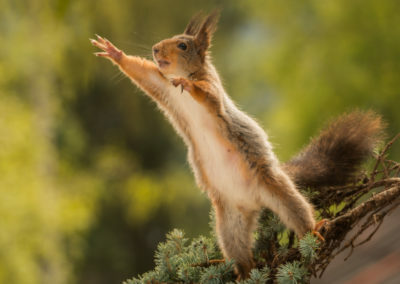 If possible, resist using the flash as this will scare the squirrel. Flash also holds the risk of presenting you with a red-eyed demon in your shot, instead of an adorable woodland animal. Take along some hazelnuts, unsalted peanuts or corn. 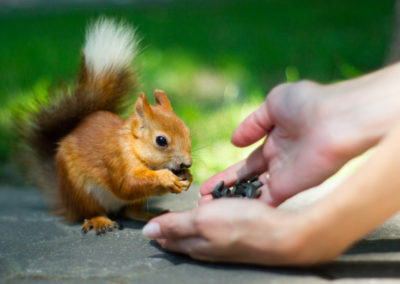 These are irresistible offerings to a squirrel and will help to get you up close and personal. Consider your shutter speeds and motion shots beforehand – these are fast little creatures, so freeze the action. 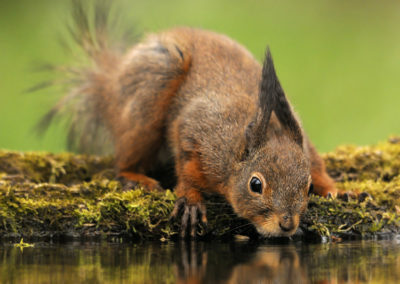 You could also consider panning your shots or focusing on the point ahead of where the squirrel is initially positioned. It may be worth revisiting Module 4 within the iPhotographyCourse for tips and reminders on panning shots. 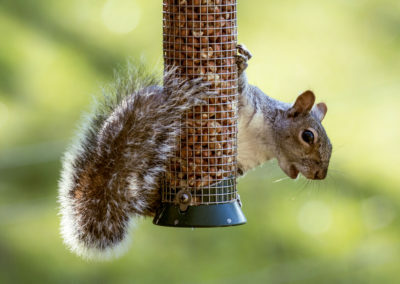 Wait until the squirrel settles momentarily and then snap snap snap away! Don’t feel disheartened if you actually miss more shots than you get – after all, observing the squirrels is half of the fun. Above all else, be PATIENT. Remember, all good things come to those who wait. 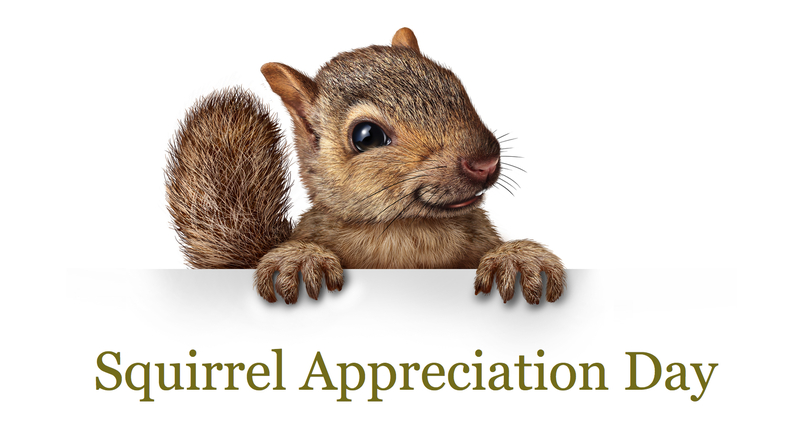 Finally, once you have collected your images, share your squirrel appreciation by changing your desktop image for all to view, then get posting on social media. 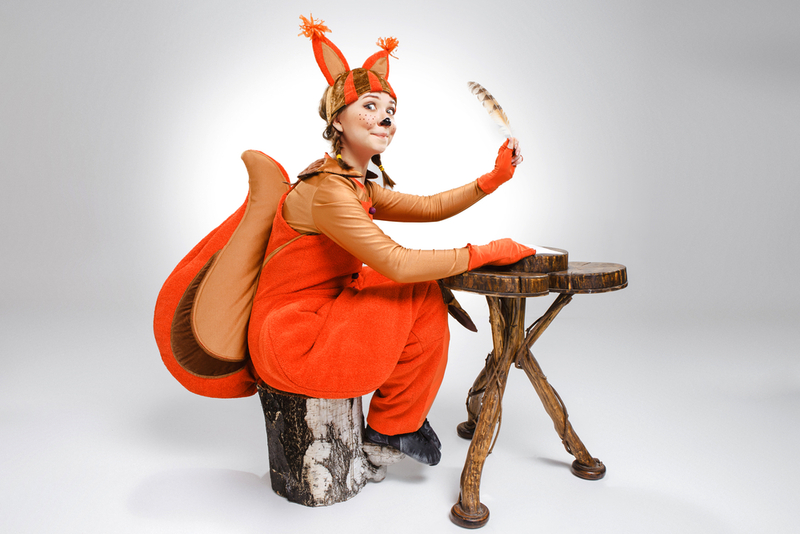 We can’t wait to view your Woodland Adventures! 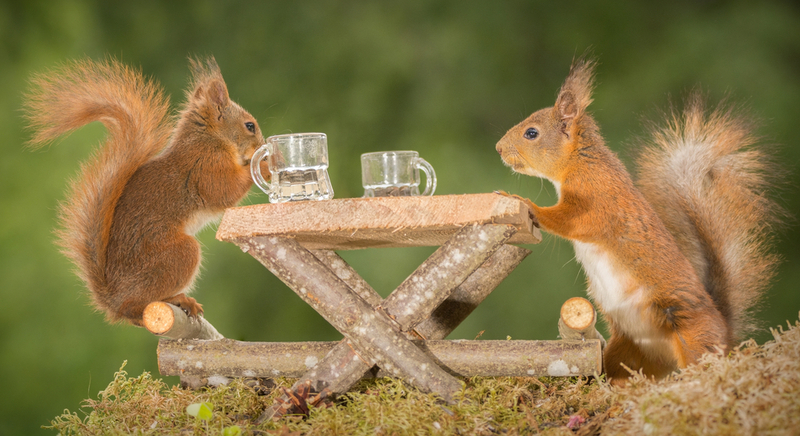 A group of squirrels is called a dray or a scurry. Squirrels teeth grow at the rate of six inches per year! Their front teeth never stop growing! 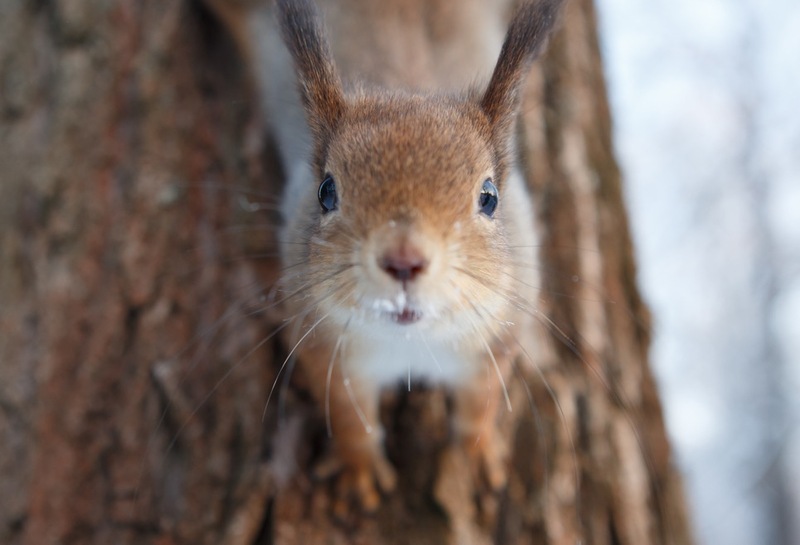 Squirrels can smell food buried in up to 1 foot of snow. 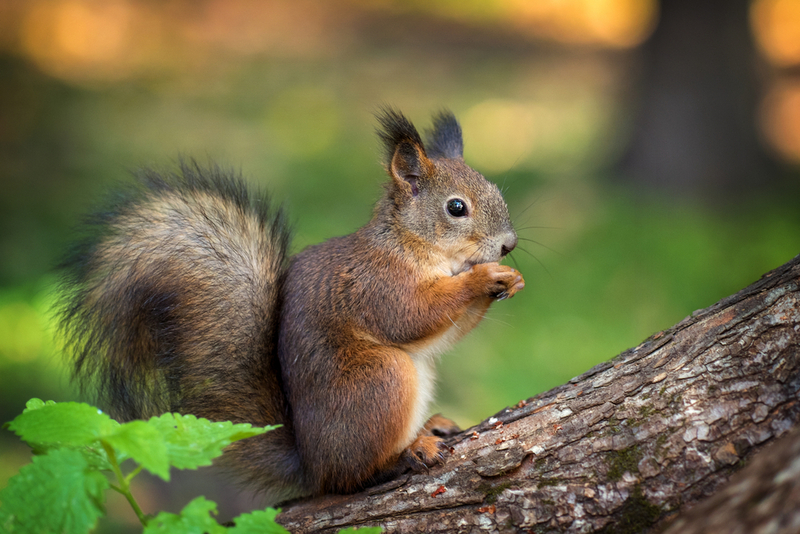 The word squirrel comes from the Anglo-Norman language. 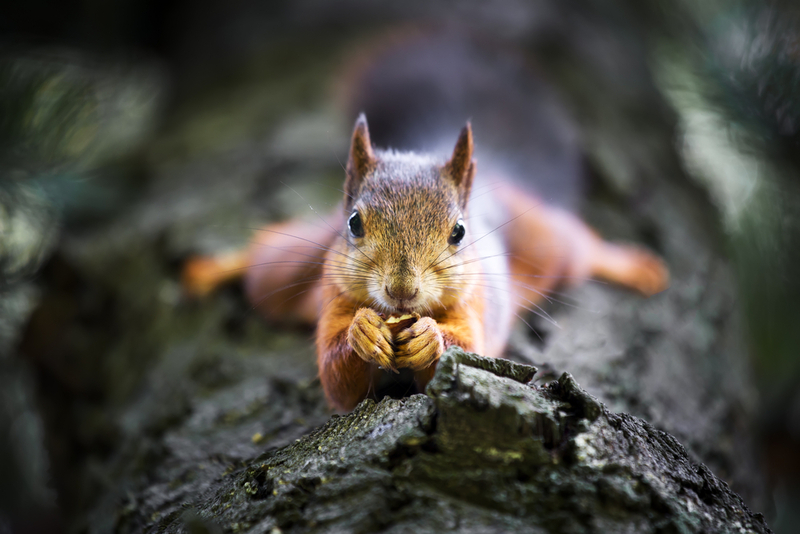 When they feel threatened, squirrels run in zigzags to confuse predators and escape.